Amidst the whole elections scene where we see parties fighting to be given a chance to contribute to nation-building, I recently met a bunch of 400 Indians who are taking up their right to do so without waiting to be elected. I have never been surer that India is in good hands. The primary focus of the trip remained nation-building through enterprises - on how yatris could maximize their potential and contribution to the country by identifying its needs and catering to them. The train journey hosted several group activities to break the ice among the yatris - life stories were shared, brainstorming sessions took place and the business models were designed. 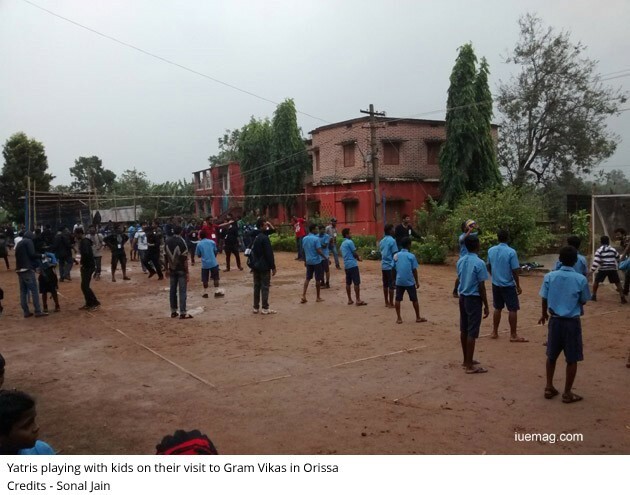 The team at Jagriti had taken special care to provide the cohort of 400 basics in business and entrepreneurship during the visit to Nalanda, Bihar. On board were also a few invited ‘resource people’ who were from leading businesses like Google, PwC and some self-made entrepreneurs. 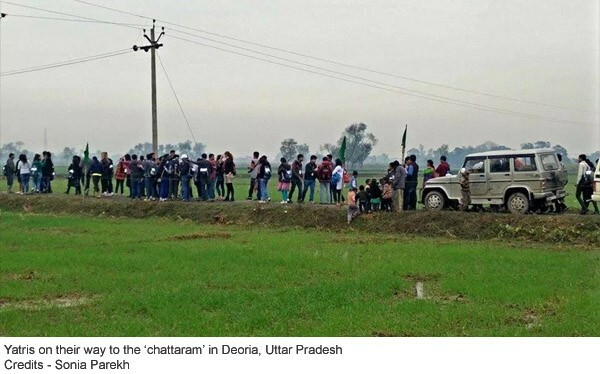 For a majority of people, the halt at Deoria in Uttar Pradesh was a never-before experience as we walked kilometres on narrow roads between fields which held bullock carts, people and human waste all the same. 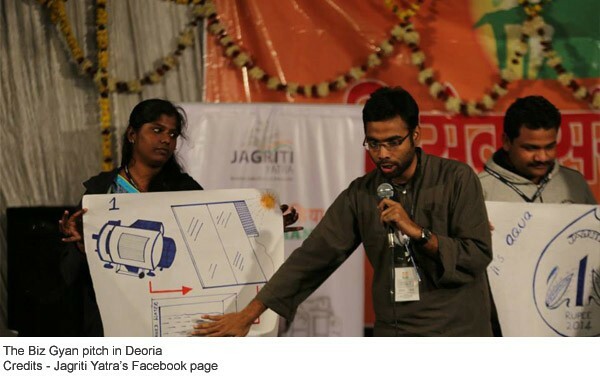 The purpose of visiting Deoria was to understand the market for social entrepreneurship in rural India and present business models to cater to these markets. Some very enterprising ideas like usage of solar energy in villages to dry fruits and day-care centre for babies (to enable more women to go to work in fields) came up. 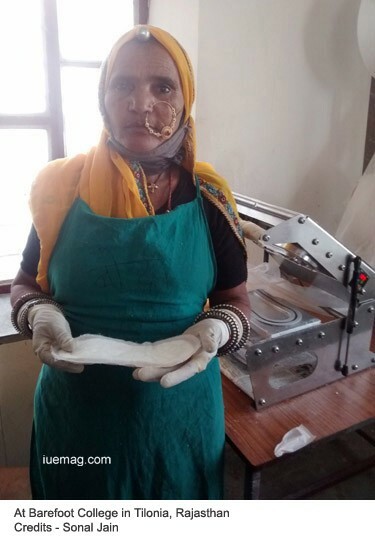 Myths like women-stay-at-work while men-earn-the-bread were broken when first-hand interaction was initiated. The top ten shortlisted business plans are further invited to Deoria post-yatra for refinement. 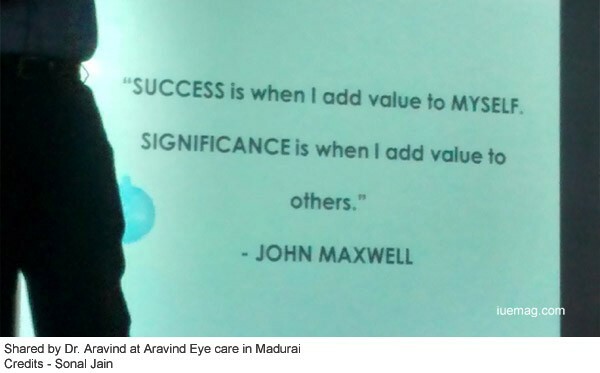 Some of the most incredible moments were in Aravind Eye Care and Barefoot College- the former for its super cost-efficient practices and the latter for the kind of community it has built, both of them functioning in their own ways to maximize impact. Panel discussions with eminent personalities took place in the metropolitans - Bangalore, Chennai, Delhi and Ahmedabad. We were also addressed by Nobel laureates Muhammad Yunus and Amartya Sen. The panel discussions encouraged dialogue between the yatris and panellists instead of being a series of one-way lectures. But the struggle that beat everything else was to make oneself home in a thirteen compartment train with a bunch of people very different than oneself. Long queues to the compartment with make-shift bathrooms, patience to be served food in turn and the technique of squeezing three in place of one grow on to people. Before one realizes, he or she is keen to come back ‘home’ after one-night halt in Deoria. The constantly moving train becomes Home on Wheels. Not only were there physical space constraints but those of the mind. Each one was conditioned by the city / village she was from to his choice of subject in formal education. It reflected in the way one dressed, one’s approach in organizing processes and in non-verbal communication, ofcourse. But the attitude to learn and accommodate along with having a greater purpose of ‘being the change one wants to see’ helped overcome all of this easily. Very soon, everyone was but extended family. One learnt not just to respect but appreciate individuals for who they are. Most important were the cultural exchanges that occurred - not just between the foreigners and Indians but also among Indians from different regions, backgrounds, classes of society, opinions and mind sets. As Shashank Mani, one of the founders of the Jagriti movement mentioned in his inaugural speech, there were multiple journeys happening at the same time. One of those was the physical one - through length and breadth of India and other, the less evident one was the inner journey of self- rediscovery. For some, it happened by juxtaposing themselves / their work adjacent to the real world, while for some it happened by losing themselves in an ocean full of warm, welcoming people. 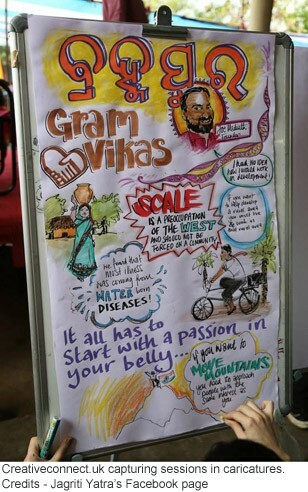 The yatra ended with a start to several things - belief, hope, collaboration and confidence.